Congratulations! 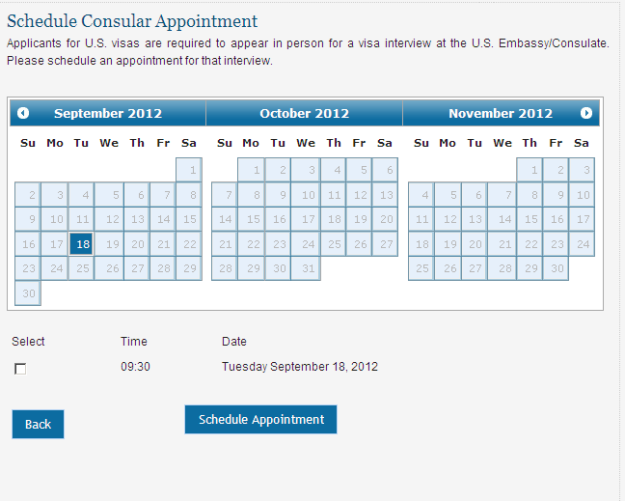 Your group appointment request for the US Embassy has been approved. This information will help you schedule your appointments online. It is important to read carefully all of the instructions to avoid any problems. Your group has a limited time to schedule its appointments. Check the expiration date on the notification you received by electronic mail. 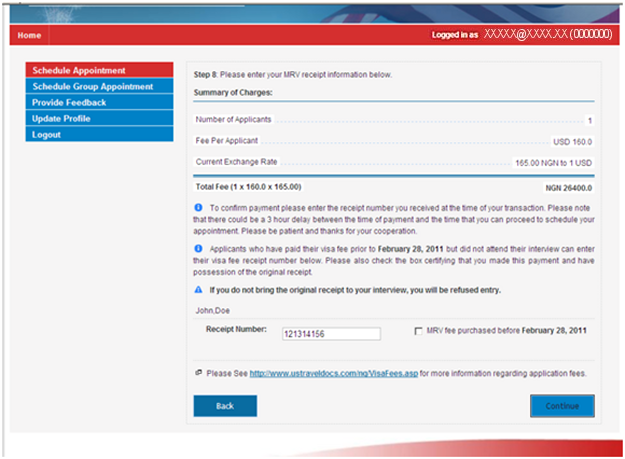 In case your request expires, you will have to follow the same steps again to solicit a new one. 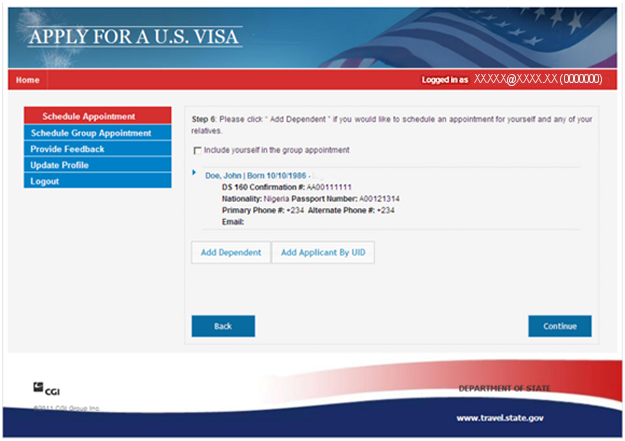 The group coordinator schedules the group’s appointments, but the applicant must complete his or her own Form DS-160. Our agents cannot schedule group appointments, but they can help you with questions. At the bottom of the page are telephone number and email address of our call center for further help. 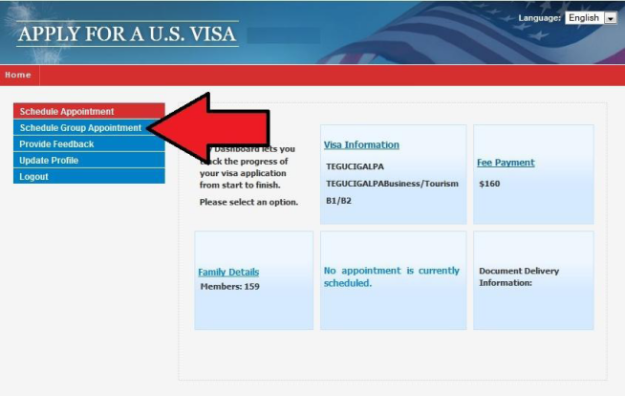 The 10-digit DS-160 confirmation number. Select “Schedule Group Appointment” from the left-hand menu. 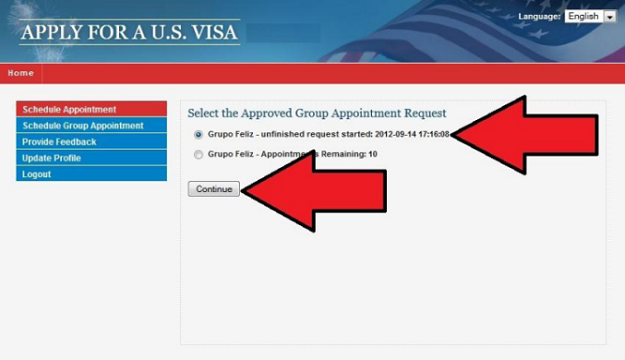 Select one of the Approved Group Appointment Requests, as shown in the example above and continue. Add each group member as a “Add By Name". 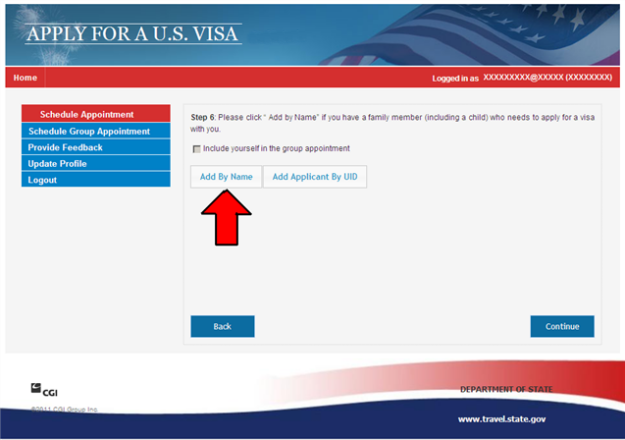 If the group coordinator also wishes to apply for a visa at the same time, check the “Include yourself in the group appointment” box. 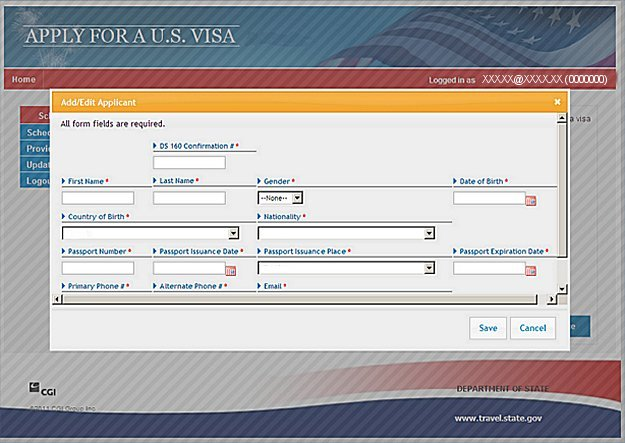 Enter all of the applicant’s data exactly as it appears on their passport. Include correct telephone numbers and an email address should the applicant need to be contacted. Click continue when all the applicants information have been entered. All returned documents will be sent to the address entered above. All applicants must use the same location. Enter the receipt number or reference number corresponding to the application fee payment for each applicant. 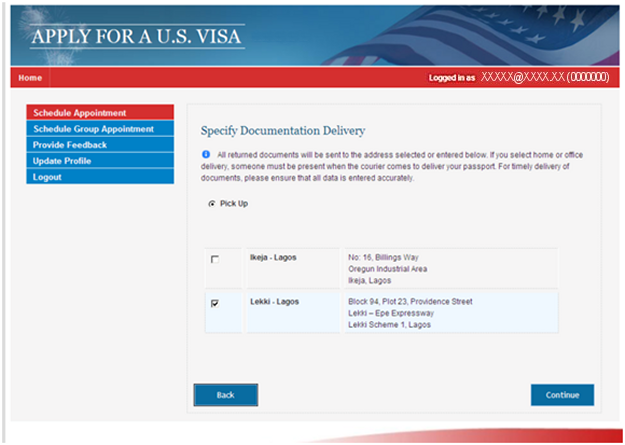 The applicant must pay the correct amount according to his or her visa category. 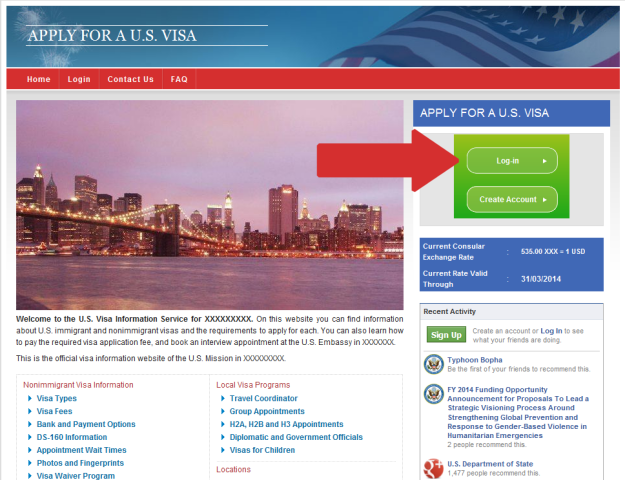 For more information about visa application fee payments, visit http://www.ustraveldocs.com. Select a date and time according to the instructions you received by email. Congratulations! Your group appointments have been scheduled. Print the confirmation page as proof, and it should be taken with the group on the date of the interview.